A PAN Card is one of the most important Official document introduced by the Government of India. The PAN Card carries out a number of Financial Transactions, it can be for the salary purposes, purchases of goods, exceeding a certain amount of money (deposit/withdraw) and lots more. This 10-digit alpha-numeric number also serves as an Identity Card to the citizens of India. It also serves as an Identity Proof for issuing other important documents such as Passport, Aadhaar Card, and Driving License etc. There are certain turns in our life where we tend to get a bit careless, and we do come across into many situations where we lose our PAN Cards, and so taking care of that the Indian Government has introduced some efficient measures in order to get the duplicate PAN Cards issued easily. In this article, we will be talking about the various procedures and applications to issue a Duplicate PAN Card. Or when your PAN Card has inaccuracies that need to be rectified such as your name, PAN details etc. The process for the application of a Duplicate PAN Card is very simple. Whether you are an individual or a body of individuals, associations of a person, trust, limited liability, partnership or a Hindu Undivided Family you can apply for the duplicate PAN Card by visiting the official online portal of the Tax Information Network- National Securities Depository Limited (TN-NSDL) of the Income Tax Department. If you have lost your PAN Card, the first and the foremost thing to do is to file an FIR. After that, you need to take a re-print or get a copy of your PAN by supplying the old PAN Card number and a copy of your FIR. Usually, it has been seen that many people skip the legal process and go for direct application of a new PAN Card. The individuals/trusts/HUFs who wants to apply for a duplicate PAN Card or want to reprint an existing card on account of damages can do so following a few simple steps. This procedure can only be done if they have been allotted a PAN Card before. In such cases, the PAN card number does not change, rather you will be provided with a new card with few modifications (if required). Log in to the Official website of TIN-NSDL and search for the section of “Re-Print of PAN Card”. Fill in the form providing relevant information like Permanent Account Number, Name, Address, E-mail ID, Phone Number etc. Make sure that you do not click on any boxes present on the left-hand side of the application form. Post-filling the form, in this step you need to submit the required documents that have been mentioned such as the ID Proof, Date of Birth and Photographs should be submitted. You should also submit the proof of the existing card which they wish to reprint. A payment is done for the replacement of the card. This payment depends on the communication address where they want the card to get delivered. If the card is to be delivered to India then the charges are Rs 110 including taxes and if the address is outside India then the charges are Rs 1020 including the taxes and delivery fees. The payments are done through the debit/credit cards, net-banking or demand drafts. Once the payment is done, all the supporting documents are supported and an acknowledgment is provided. The Acknowledgement Number is a 15-digit unique number which can be used for the future purpose. After the Post-Verification of the documents, the PAN Card will be dispatched and will take around 2 weeks for the delivery. Firstly, you will have to click on the link titled “Apply Online” and then you will be re-directed to another page. 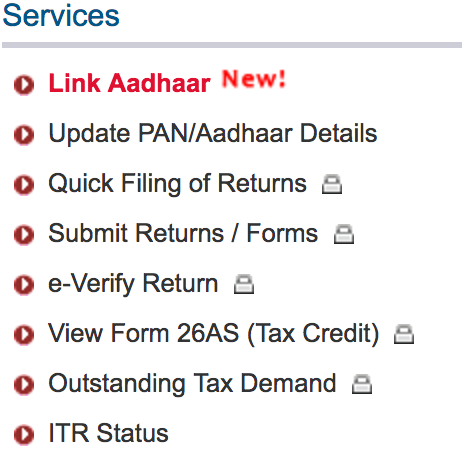 Now click on the “Application Type” and select the third option that is mentioned “Changes or Correction” in the existing PAN Date/ Reprint of the PAN Card (No changes in the existing PAN Data). Under the “Category” applicants you will have to choose the relevant option, which is either an individual or company or so on. The next section is regarding the information of the applicant. The first answer that will be given to then is the “Title”. Next, they will have to provide their “Last Name”. Next, you need to provide your Date of Birth details, including month, year and death. Lastly, you will have to provide your e-mail address and the mobile number and should also mention that whether you are a citizen of India or not. Once, all the required information is provided, now enter the Captcha Code and submit the form. You can even reset or type the correct information if by mistake you have provided wrong information. If in case you are a registered user, then you need to provide a Token Number (temporary), e-mail address and date of birth. Once the information has been provided, enter the Captcha Code and submit the answers. While filling the online application form, you can either choose to provide a physical acknowledgment, Aadhaar based e-Sign or a Digital Signature Certificate. If you are choosing a Digital Signature Certificate or an Aadhaar based e-Sign Option, then you need to upload the scanned images of the signature, photograph or other supporting documents while providing the application. If you choose an Aadhaar based e-Sign option, then you need to choose Aadhaar Card as the supporting document. If in case, the data that has been already submitted fails with respect to the format level validation, then a list of the errors will be displayed on the screen. These errors have to be rectified by the applicant and the form should be re-submitted. If there are no errors, then a confirmation message is displayed along with all the data filled by the applicant. 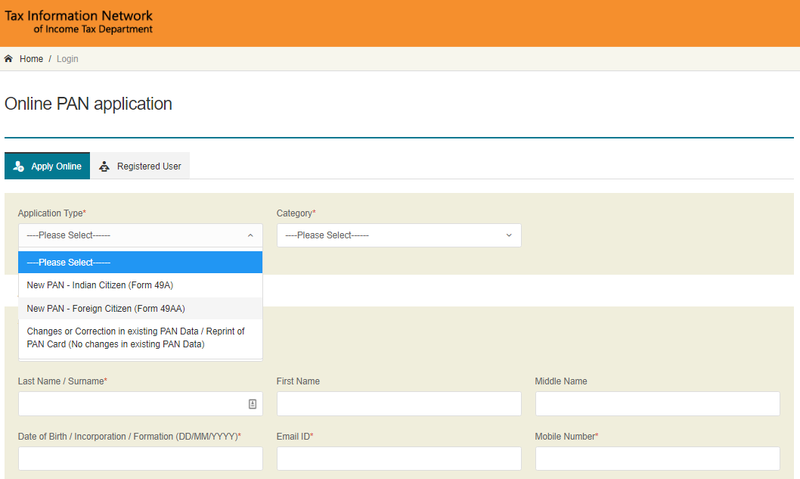 The individual does have an option to either confirm or edit the data prior to submitting it. The applicants are supposed to fill in all the required details marked with (*). On the basis of the communication address in India, the processing fee of the application within India is Rs 110 including taxes. The payments can be done through the Credit Card/Debit Card or Net Banking or Demand Draft. If in case, the address is not in India, then the payment is done through either Debit Card/ Credit Card or Net Banking or Demand Draft payable in Mumbai. The processing fee for the PAN Card Application outside India is Rs 1020 including taxes. If the applicants are making the payments via Credit cards or Debit Cards, an additional charge of 2% will be applicable by the bank that will provide a Gateway Facility. Also, charges are available for exchange and conversion rates. Once the payment is successful, the acknowledgment is displayed. The acknowledgment will be printed and have to be sent to the NSDL e-Gov Site. If the applicants have provided their Aadhaar number then, a copy of Aadhaar along with the supporting documents will have to be submitted. In case, the applicant is a minor, then the Aadhaar number will have to be given in the application form. The number will then be authenticated. Once the confirmation has been provided upon the successful payment, then the acknowledgment screen with a receipt will be displayed. This receipt will have to be downloaded and printed. In an applicant is a non-individual PAN applicant, then the acknowledgment receipt will have to be signed by an authorized signatory i.e. Karta if it is a HUF Partner in case of a Partnership Firm, Director in case of Company, Trustee in case of Trust and Authorized signatory in all remaining categories. If the thumb impression is used as signature then it has to be verified by the Magistrate or a Gazetted Officer or a Notary Public under the Official stamp and seal. There can be multiple numbers of reasons for an Individual/company/trust to want a duplicate PAN Card. It has been seen that most us carry PAN Card in our wallets so it’s quite possible to lose it on account of theft of the wallet. This is one of the reasons why people apply for a Duplicate PAN Card. We often misplace our PAN Card, in such cases, we can apply for a Duplicate PAN Card. A PAN Card can get damaged due to multiple numbers of reasons, leaving no option but to reprint it. Your PAN Card might get a quite a number of errors hence, requiring a change in the information or re-print it. There are a number of third-party websites that provide the facility to replace/reprint a PAN Card. While one can utilize them, but their genuineness isn’t guaranteed, which is why it is recommended to use the Official website for applying. Fill in the online PAN replacement form. Make sure that all the information that you have provided is correct, else you will not be able to submit the application. Fill in the corresponding box with the required changes if you need to make changes in your PAN Card. Enter the PAN Details and address. 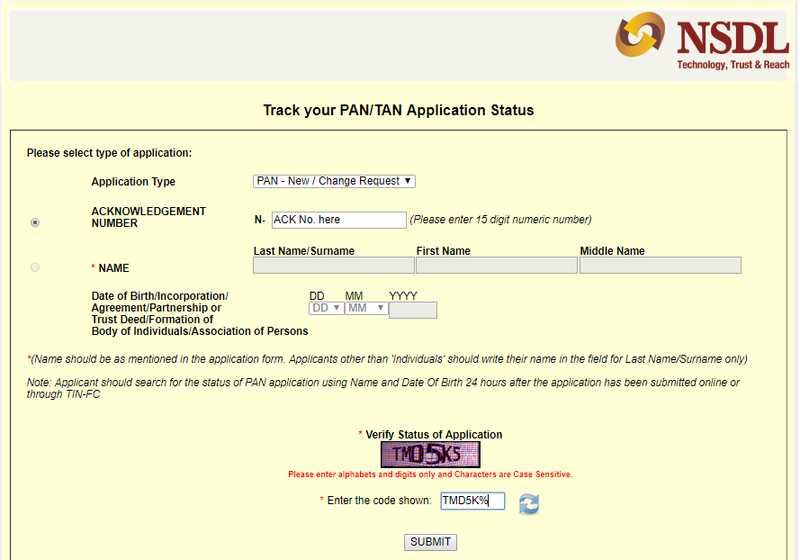 For the requests for a new PAN Card, you need to submit the Aadhaar details along with the application form. Once you have received the acknowledgment number, you can check the status of the PAN verification. The verification should be done within 5 days from receiving the acknowledgment. Thus, applying for a Duplicate PAN Card is not that tough though.